In the West it’s hard to even conceive of enlightened beings. We have much to learn about how to approach them, how to be with them, how to use them on our own journey into our heart. 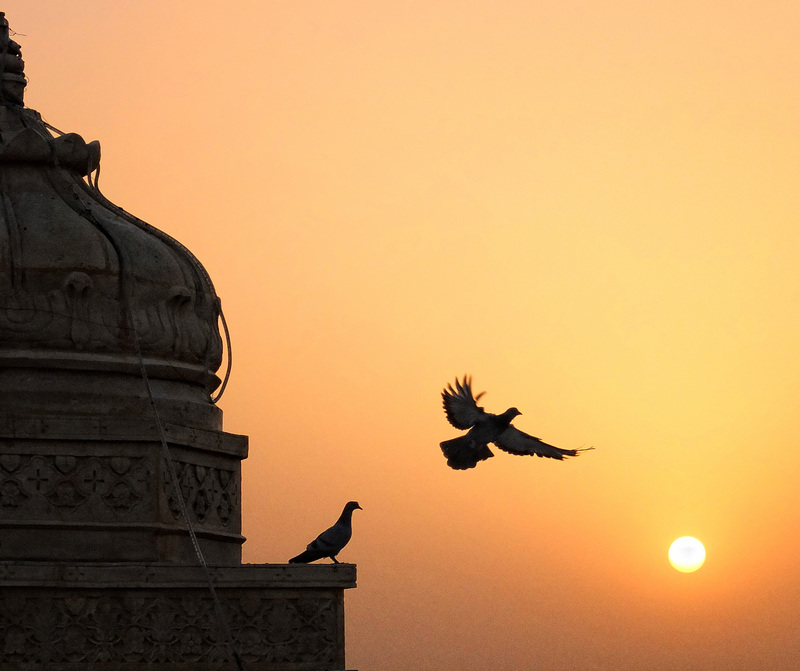 Cultures like that of India have customs and forms that, although perhaps not directly transferable, can show us how to be in the presence of a holy person. As a teenager getting ready for a date, I would go to great lengths dressing, combing my hair, buying flowers, acquiring the money, planning the evening – there seemed to be no end to my preoccupation with the momentous trivia of going on a date. Only when everything was in order could I begin to open to the relationship. If my shoes were scuffed, I would spend a good part of the evening hiding them under an available chair or couch or being embarrassed or self-conscious about them. In its own way opening to the presence of a holy being, a lover for your soul, demands that same kind of psychological preparation. When I first traveled around India and saw holy beings, I treated these meetings rather casually and just enjoyed being with whomever I happened to be with at whatever level we happened to meet. But as time went on, I began to appreciate receiving the presence of spiritual beings more deeply and having the opportunity to drink from the well of their experience. I came to understand that this transmission of living spirit involves preparation in order to be open to receive it. Slowing my mind down enough to be in the moment in “Indian time” was one part of that. Opening my heart to feel their love was another. Imagine living in India twenty-five hundred years ago. You hear about an enlightened being walking the earth called Gautama Buddha. You set out to find him to receive his teachings. Perhaps you go to Sarnath, where he delivered his first sermon in the Deer Park. You talk to the newly ordained bikkhus, or monks, gathered there and ask his whereabouts. They direct you to a town to the north. You travel on foot, in a horse-drawn wagon, or by oxcart. In each village you receive another report, making you feel you are getting closer. Your anticipation mounts day by day as you move from village to village, your mind fixed on the moment when you will meet this being, sit before him, and receive his teaching. 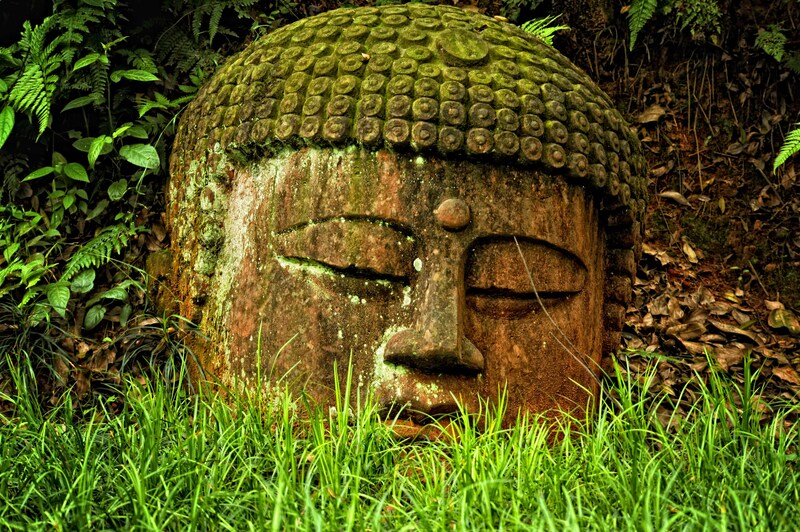 Weeks go by, and you begin to meet people who have just been with the Buddha. Their eyes are alight, their hearts open. They emanate a peace that speaks of the experience they’ve had. Finally you are within a day’s travel of the Buddha. Your mind turns to how you will prepare yourself for this meeting. As you near your destination, you stop and bathe and wash your clothes, perhaps pick some flowers or fruit in one of the villages. As you get very close, you are so excited you are afraid that you will not be quiet enough to receive him. So you sit on a rock by a stream, collecting yourself. 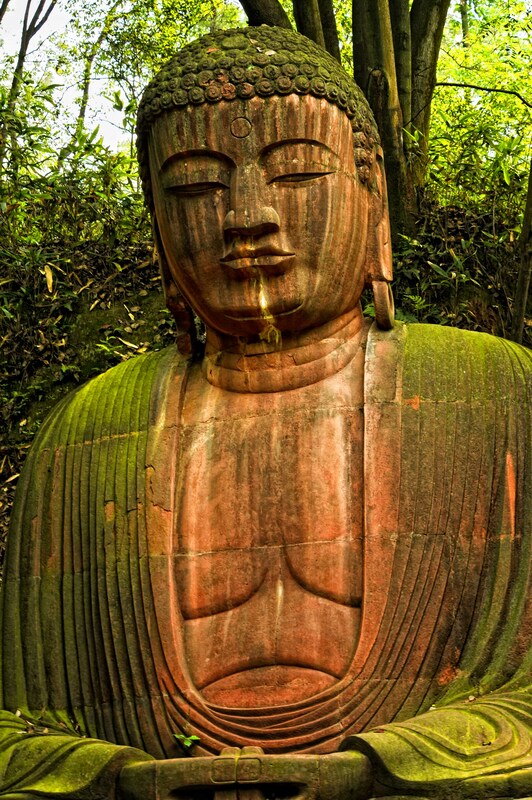 Finally you approach the cave where the Buddha sits. You climb the hill to the door of the cave. It is dark inside. A small fire flickers, and in the firelight you see someone sitting in meditation. After some time, he becomes aware of your presence and motions you to enter. You enter, bow before him, and offer your fruit and flowers. You sit before him and finally raise your eyes to look into his. Time stops. Everything you have been anticipating is coming to fruition in this moment. The universe disappears. Only his eyes exist. 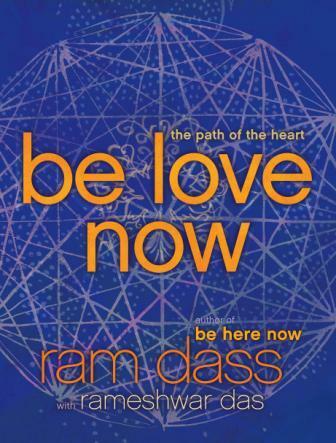 A flow of love, wisdom, consciousness passes between you. Perhaps a few words are said – words you take away and think upon again and again in the years to follow. Or perhaps he says nothing, and it is just his stillness, his presence, the incredible love that flows from him, the deep compassion you feel. You feel as if you were naked before his glance. He sees through you, he knows all – past, present, and future. He does not judge, but simply acknowledges how it all is. Even a moment of such compassion can be liberating. Just because we’re old doesn’t mean we are past enjoying technology and the beauty that can be brought into our lives through the proper use if that technology and equally just because we are young doesn’t mean we are insensitive towards old people and non interested in the wisdom that age can bring to our young lives! I like to think that there is wisdom in every being, young or old, rich or poor, we all have something to offer to this life and to our world. 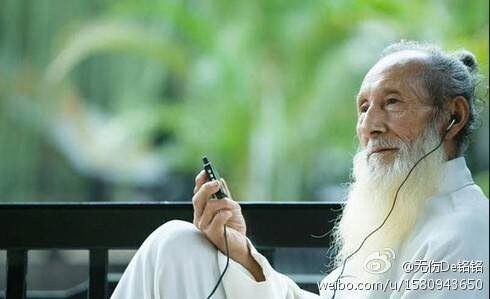 Enjoy this image my friends and wonder for a while and imagine what music or words this wise old Tao Master is listening to! 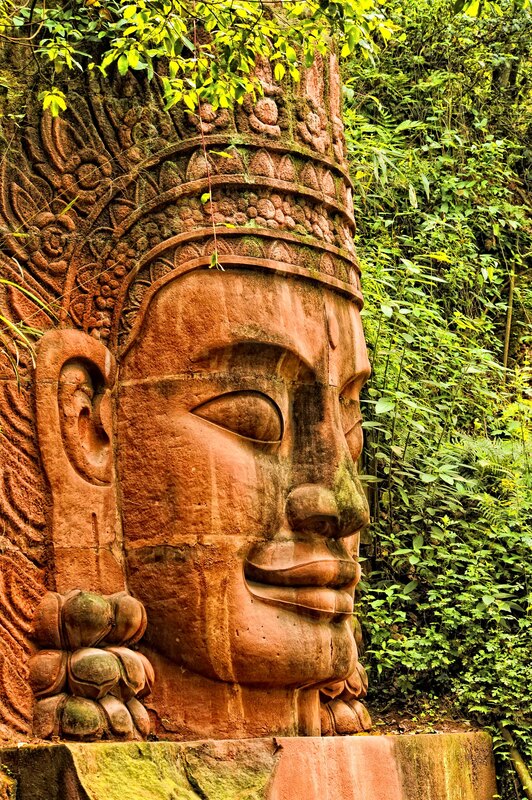 More images taken on our visit to Leshan, Sichuan Province, China to see the largest Buddha in the world Dafo. The walk through the gardens surrounding the temple and Dafo is so beautiful and peaceful, you can gain inspiration, gather your thoughts, be in ‘The Moment’ and really feel ‘Life’. I Hope you are enjoying this walk with me? Those who look only at themselves see little. Those who justify themselves are not distinguished. Those who brag have no merit. The work of prideful people will not endure. and then all under heaven will be at rest.